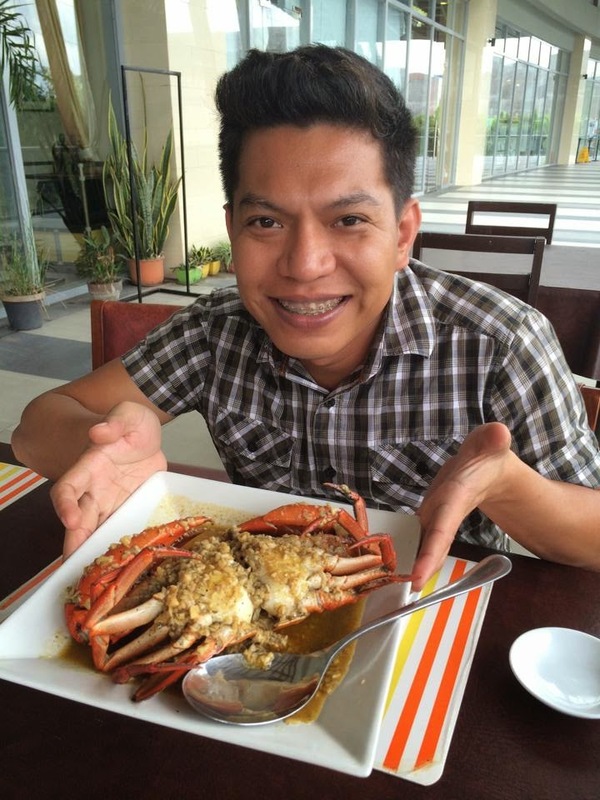 September 14, 2014 - We checked out 12 noon at Rosal Beach Resort. 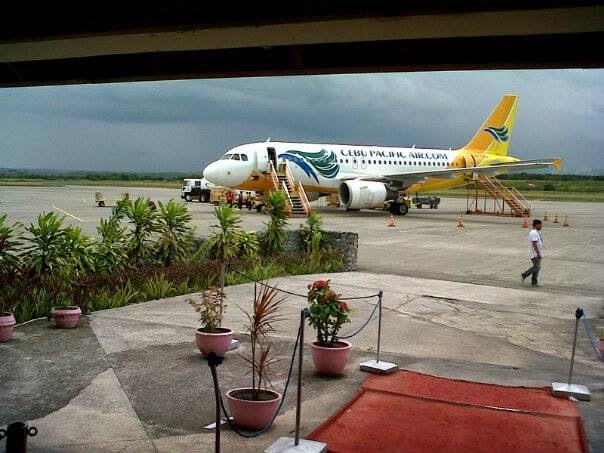 We arrived in General Santos City near 3:00 PM. We had late lunch at Coco's. Nothing unique actually just like any other diner. Its not bad but I've tasted better dips. We lazily spent our afternoon there. We didn't have any other activities anymore. We missed the wet market for the mandatory picture with the giant tuna. The idea of walking in the park that didn't buy us. Museums were closed on a Sunday. Kris had to go to work. And if we go to Lake Sebu, we needed more time. We were scheduled to fly back to Cebu the next morning already. Tourism is not the main focus of GenSan. They are more on business. The city is only a gateway to those must-visit-out-of-town-sites. We headed to our room for the rest of the afternoon. We went to SM to meet Jmari (the one who picked us from the airport) again for dinner. And of course I had to buy a gift for my inaanak. For dinner, J brought us to Tiongson Arcade. Its a cluster of grilling stations. 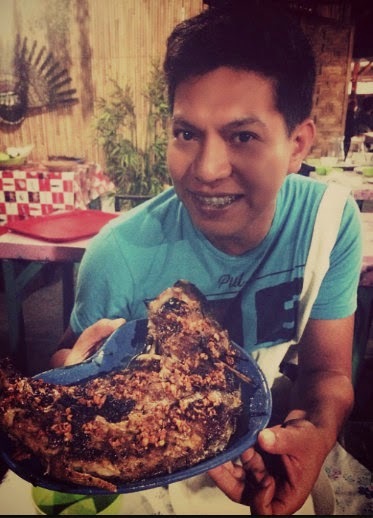 And of course, the star of this trip, Tuna Panga normally costs 400 pesos from where I came from but only 250 pesos in GenSan or they said could be cheaper. Last September 12, 2014, together with 2 of my friends, I prepared an itinerary for the first time; destination from Cebu City to General Santos City via Cebu Pacific. The mission: invade the Tuna Capital of the country. We spent Friday night in the city. See Day 1. Day 2. We decided to go further south and experience the waves of Celebes Sea. It was a fair day actually. The sun was up but not too hot. A good day to go to the beach. Yes, we planned to spend all Saturday afternoon and Sunday morning at a beach. With no other plans but to enjoy the breeze, the sand and the sun. There's a van terminal near Veranza Mall going to Glan for approximately an hour to an hour and a half ride. The fare was 100 pesos. 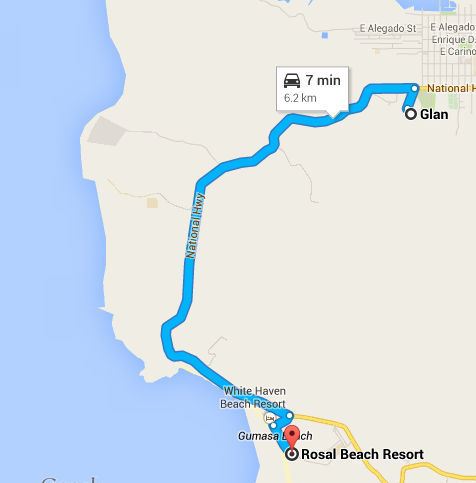 From Glan, we took a tricycle for 40 pesos each going to Rosal Beach Resort. We initially planned to go to Isla Jardin but the tricycle driver discouraged us because of the rough terrain going there. He said the sand were better at Rosal anyway. He sounded reliable as he was friendly, so we got convinced. We were hoping to get a beach front hut. With no prior reservation, we got luckily, there was one room available for us. Yup behind me is the room. It was actually spacious for just the 3 of us. Room rate: 2,800 for 2 plus 300 pesos additional person. This was our dining. A bit pricey but it was really a big room. The resort was so quiet. It felt like we were the only guest. It was all worth it. This was my spot. Perfect while reading a book. The room came with a free breakfast. But I suggest you bring food especially for dinner. That was what we miss to bring. 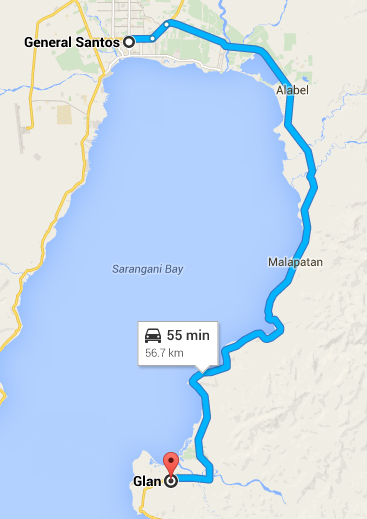 So we went back to Glan for another 40 peso ride to buy a lechon manok and bread. However, the water was not clear. I understand it could be the monsoon. But what I don't understand were the plastic bags floating. It was dirty actually. Please take care of your natural resources. You'll miss it when its gone. 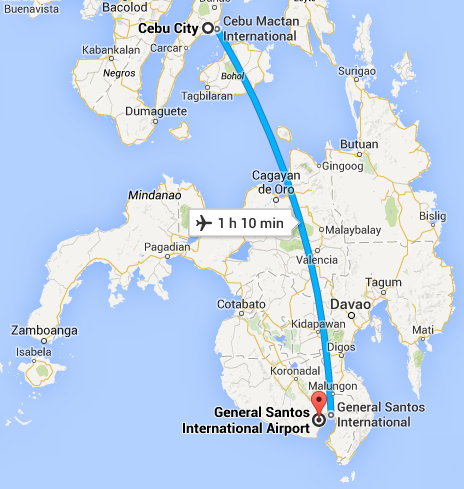 12:30PM - We arrived 10 minutes earlier than scheduled at the International Airport of General Santos City. A lot of friends asked me what is in GenSan? Why GenSan? That was the first trip that I prepared the itinerary. Google came handy so I made my research days prior to our trip. 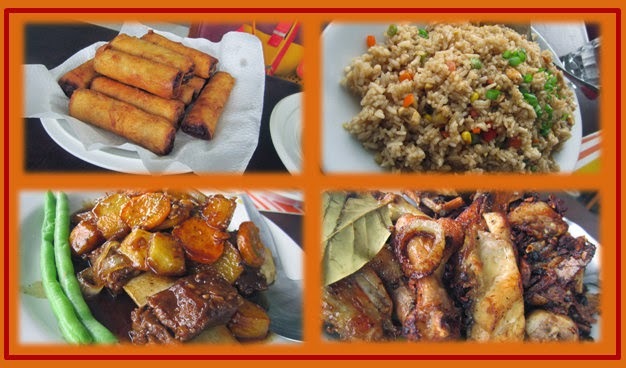 What's in GenSan? uhhmm TUNA. In fact it was the last day of tuna festival when we arrived; Sept 12, 2014. We missed the street parade. What we saw were colorful parade floats displayed outside a mall. The city is quite far from the airport; approximately 30 minutes. Based on my research, you can take a taxi for 300 pesos or a van for 150 pesos or if the budget is tight at 50 pesos for multi-cab. Luckily a friend of mine was available to pick us up. She used to be my office mate and a close friend of mine. I guess that answers the why. 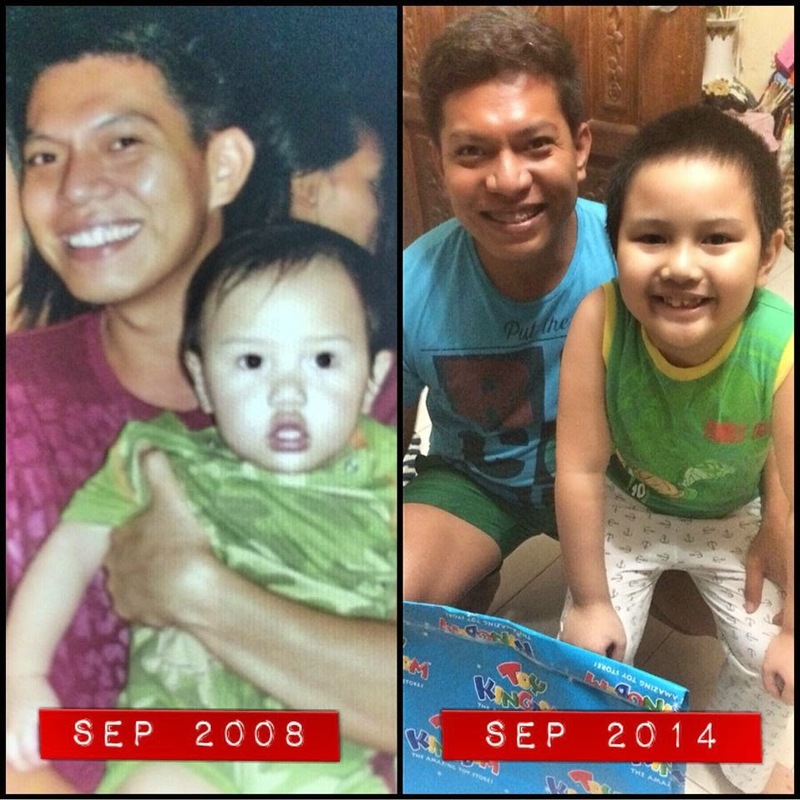 For six years, I have not seen my inaanak. I thought I owe him big time. Our room wasn't ready yet so we went to a nearby mall for late lunch. I read good reviews and a friend recommended it. A bit pricey actually but the taste was worth the price. I noticed they are generous with garlic. Overall, it was a good lunch. 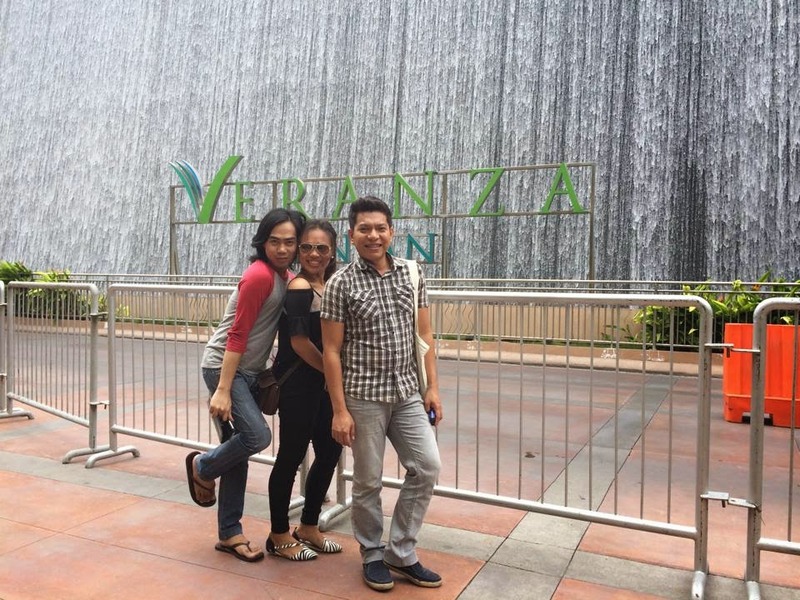 That mandatory picture a tourist should have when visiting Veranza. The cascading water controls the humidity and it was pretty cool actually. Surprisingly, for a weekend there were few people even some shops were on sale like as low as 70% off. After lunch, I couldn't resist the markdowns so we went shopping. We were supposed to be visiting some museums and parks and learn about history but naah Aero, GAP and Guess were worth visiting and my friends agreed. This was our room. We stayed at Palm Woods Pensionne House. We got the Twin Deluxe for 920 pesos for the 3 of us already. Staff were very friendly and accommodating. The room was neat, free wi-fi and toilet was clean. I booked through their facebook page only and no down payment requirement. Isn't that hassle free? Friday night at 8pm, we went to our room to freshen up and rest for a while. We were waiting for another friend who would take us to the night life scene of the city. For the meantime, let us take a selfie. 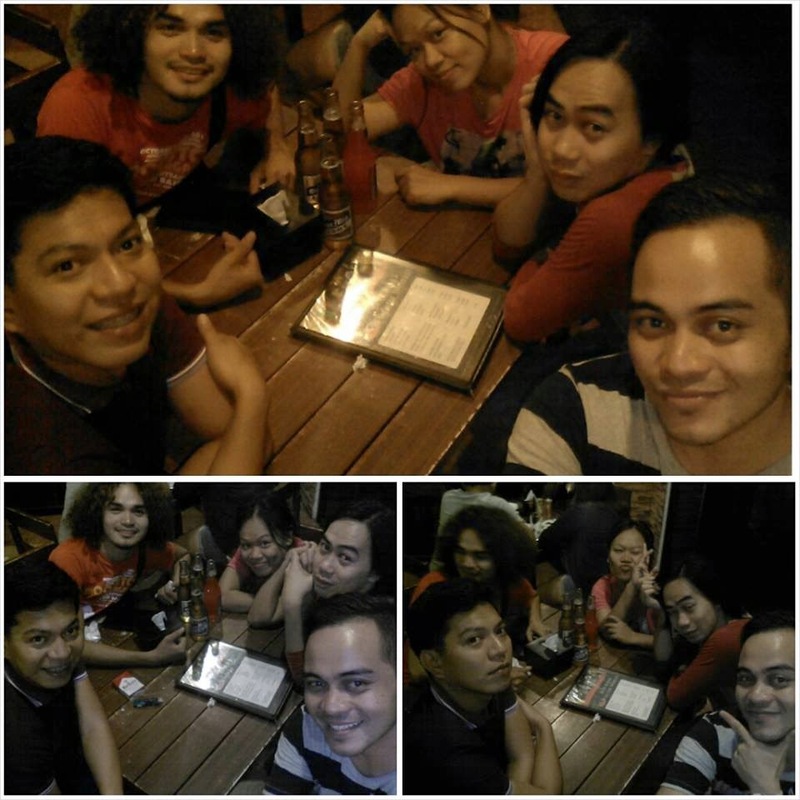 So Kris took us to Pahayahay Resto Bar for a drink. I saw another familiar face singing at the stage. I waived hello as he announced my arrival. Blushed as everyone turned their head to see me. Thanks Jess for the grand entrance. I wasn't feeling well, I was about to have fever so we call it a day early. The following morning before leaving to Gumasa, Kriss brought us to Taps and Mix for a posh breaksfast. Naah he just like to use the word posh. 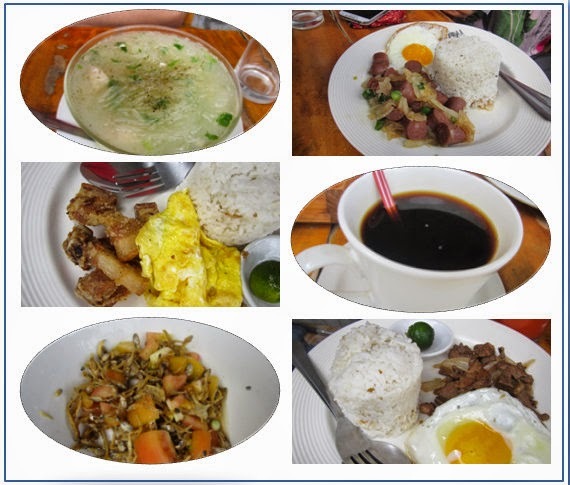 @75 pesos per meal it was enough to start a bright day ahead. My name is Ron. I'm in my early 30's. I'm not a writer. I'm just one of those wannabes. So forgive me with my tenses. Everything was perfect until I broke my halo. I was sent to earth to learn how to feel and to understand how to be a human. The only mistake I made was I fell in love when I shouldn't. Then my heart got broken. This site is dedicated to my adventure in pursuit to happiness, understanding life and be grateful for all the blessings. I want my halo back and I shall earn it. Live, Laugh and Love | It's about YOU, ME and the WORLD around us! CHAROT!